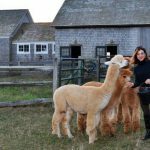 Barbara Ronchetti's transformation from city woman to Martha's Vineyard alpaca farmer was the focus of the "Vocations" column ("
—Home for the Holidays" was based off a short story by West Tisbury's Chris Radant. Meet the author at the film screening on November 29. At the Island Bridge Club in West Tisbury on November 21, 12 pairs competed. 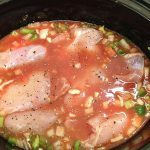 After hearing about the wonders of the Crock-Pot from my friends, I decided to give it a go. 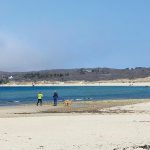 Lenny Hall is a student and observer of life without formal credentials who finds inspiration on Martha's Vineyard. 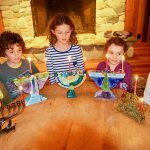 The evolution of Hanukkah has taken more than two millennia, but there's nothing old about the values it reflects and espouses. On October 2, 1942, waves of U.S. Amphibious troops from Camp Edwards stormed Lambert's Cove as part of a mock invasion. 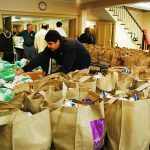 Relying on Island generosity, the volunteer organization provided all the ingredients for a complete holiday meal. They are planning a wedding on May 10, 2014. 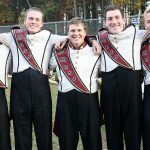 Mitch Lowe of Oak Bluffs, a 2011 graduate of MVRHS, will perform with the UMass Minutemen Marching Band. When winter comes, cats can find some unusual, and dangerous, places to keep warm. 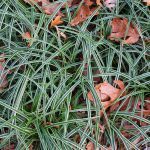 Strategically situated evergreen ground cover can maintain some life in the winter garden scape. Yoga on the Vine is located in the Triangle in Edgartown next to the Mailroom. 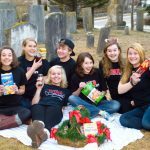 The 23rd annual event is a popular day-after-Thanksgiving family tradition. And, bewildering as this year and the two or three before have been, there is nevertheless always a clear reason and a priceless reward for giving thanks.